An interview from the 2018 NAB Show in New York City with Manny Rosado of AJA Video Systems. 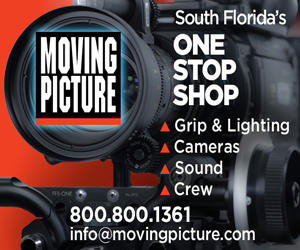 AJA Video Systems manufactures a wide range of high quality, cost effective video interface technologies, converters, digital video streaming and recording solutions, and professional cameras for the broadcast, production, postproduction and ProAV markets. From HELO to RovoCam, U-TAP, our Mini-Converter, FS, Io, Ki Pro, KONA and KUMO lines and beyond, each AJA product is carefully designed and manufactured out of their facility in Grass Valley, California, and sold through an extensive channel of resellers and systems integrators around the world. The new KUMO 1616-12G and KUMO 3232-12G routers enable full range of 4K and UHD routing on single BNC for rates up to 12G. With a simple setting change, KUMO 3G routers can be configured for ganged dual and quad port routing, allowing users to group together multiple inputs and outputs for dual-link, 4K/UltraHD workflows. This allows routing of uncompressed or raw 4K/UltraHD signals throughout a production or post facility. Then switch the router back to 2K/HD/SD operation as needed, giving you the flexibility to route virtually any format in your facility. 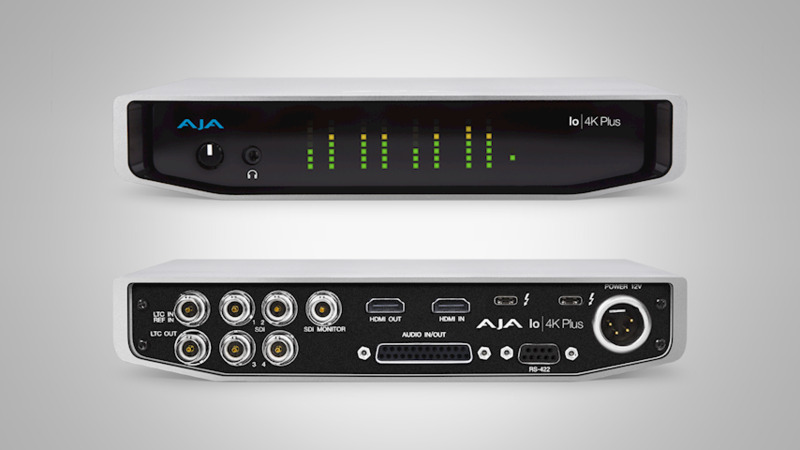 AJA IP Mini-Converters are designed for the transport, reception and decoding of IP video. Models are available for either SMPTE ST 2110 uncompressed video and audio over IP with 10 GigE connectivity, or JPEG 2000 TR-01 video and audio over 1 GigE. Rugged, compact and relaible, these practical Mini-Converters provide the bridge between baseband and IP video for a range of applications. There are two companion receivers to choose from; RovoRx-HDMI offers the simplest integration with an HDMI output, stereo audio out, control and power. RovoRx-SDI offers both 6G/3G-SDI and HDMI outputs, plus Genlock and other professional features. Both units provide PoH (Power over HDBaseT) to power RovoCam from a distance. Each interfaces with RovoControl, powerful control software for Mac and PC, offering full control of RovoCam's numerous advanced features. FS4 is a 4-Channel 2K/HD/SD or 1-Channel 4K/UltraHD frame synchronizer and up, down, cross-converter. AJA’s flagship frame synchronizer and converter offers incredible versatility and connectivity in a sleek 1RU frame for all your 4K/UltraHD and 2K/HD/SD conversion needs, with a wealth of digital and optional 12G-SDI Fiber LC and 12G-SDI BNC SFP connectivity. Offering a wide range of connection options for both video and audio, FS4 can do the work of four separate devices in 2K/HD/SD or combine all processors and channels together for maximum flexibility for 4K/UltraHD productivity.